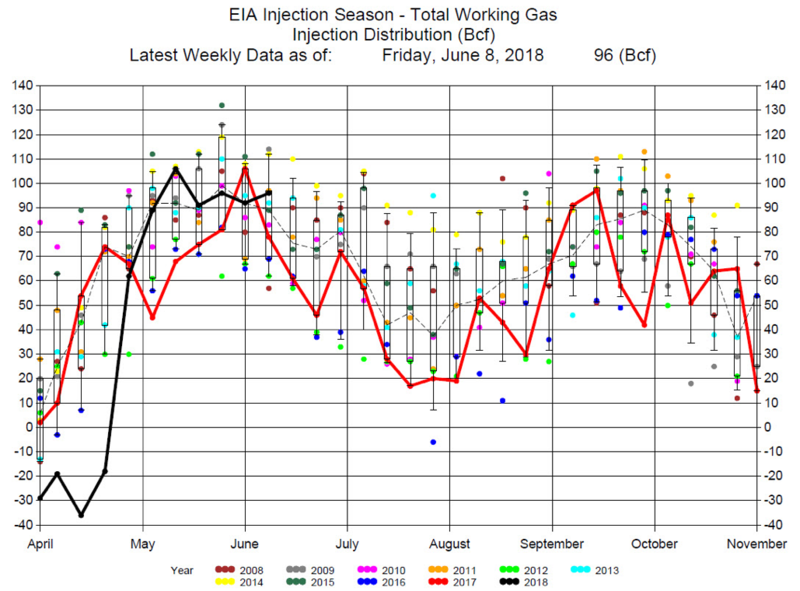 The EIA reported a 96 bcf Injection for the week ending June 8, 2018. 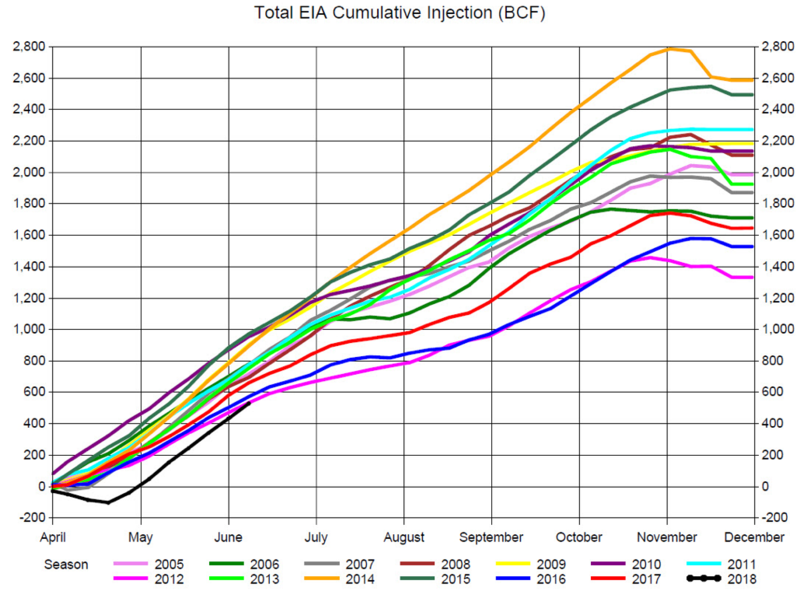 The 96 bcf injection was above average, 89. for this week of the year, and greater than the average of expectations at 91 bcf injection, with a range of an 85 injection to a 98 bcf injection. 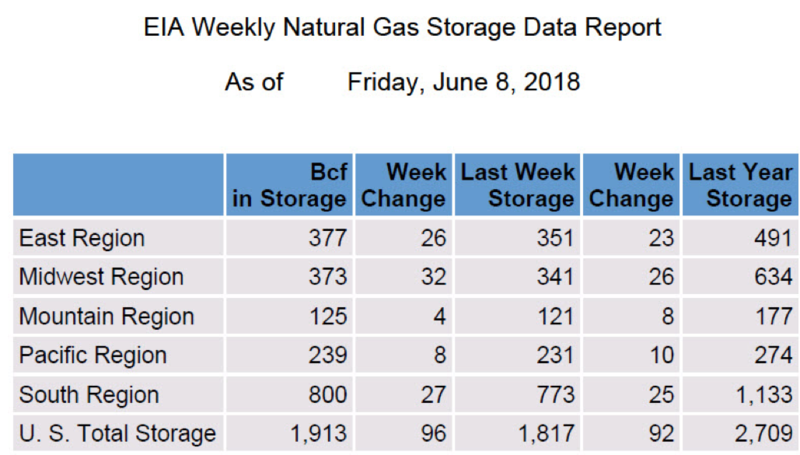 Analysts are now hoping for some +100 bcf injections in September to reach 3,500 bcf by November. We believe that is a stretch. 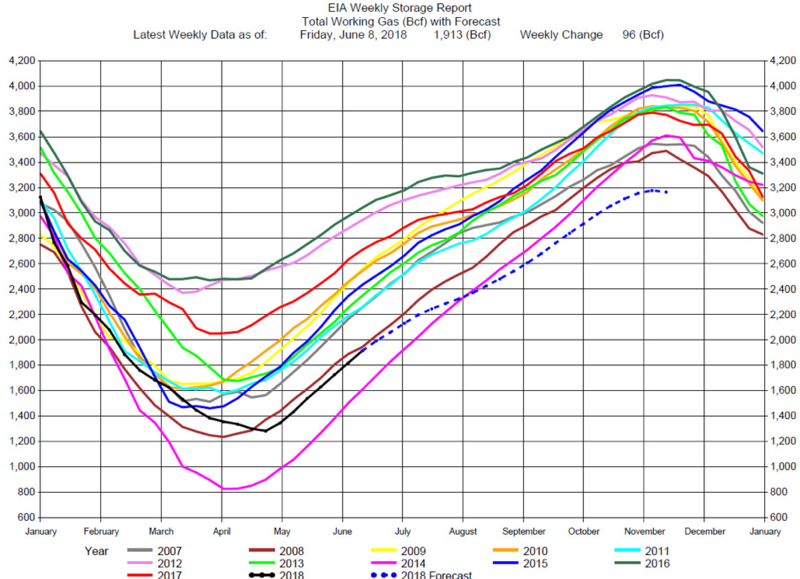 The computer weather model estimate was in agreement with the injection indicating supply and demand were in balance. Prices fell with the release of the report but rallied through the trading day, ending at nearly unchanged for the day.